We are committed to delivering high quality drop forgings to our customers. Then you may ask how you could ensure the quality without any defects. It is due to our impeccable quality control system. Here the quality control system includes:quality control certifications, raw material, process, completed testing equipments, third party testing, ect. 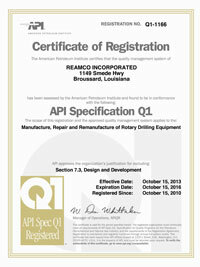 We are ISO 9001:2008, TS16949, API certificated company in Ningbo, China. 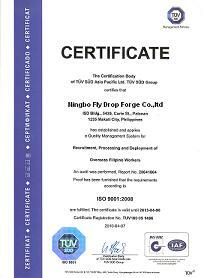 ISO certification means we have the ability to supply qualified drop forgings to our customers. As you know, our lots of drop forgings are used in auto application, so TS16949 is the essential. Besides, some typical oilfield pipe fittings such as hammer union are also made by forging process, and we successfully achieved API certification. Good raw material is the first step to manufacture qualified products. So it is our first choice to cooperate with best raw material factory. When incoming a batch of new material, we will first test the chemical composition to check if there is any errors. 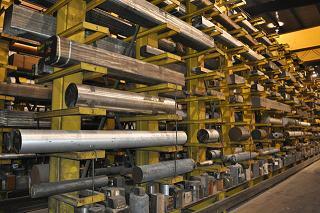 In addition, we have a separated material warehouse to place materials with different specifications. To better management, we distinguish them with different colours. 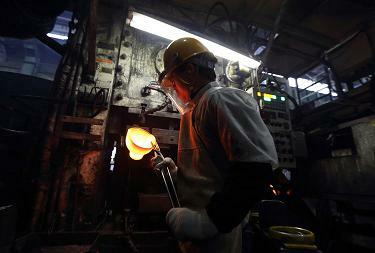 Process of drop forging is also important to do quality control. The ability of workers will directly affect the quality of products. Thus all the workers hired by our HR managements are all rich-experienced. We also carry out regular training and evaluation for them to make them stronger. The most direct quality control is testing equiments. We have completed testing equipments here in our factory like spectrograph, hardness tester, CMM, ect. All these testing datas will be recorded in the testing reports and sent to our customers for checking if they are within the range. Sometimes, even if we promised to do testing in all aspects. Purchasers may still worry about the testing truth of products. In this way, they may ask third party's help to do quality testing, who will offer accurate reports for them. 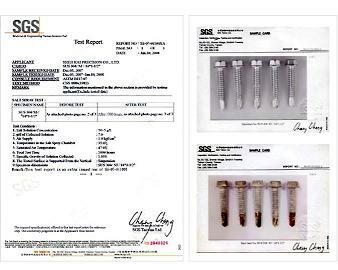 The most authoritative testing is SGS. But by contrast, the cost is high.